Is it a bird? Is it a plane? No, it’s a Superman action figure from my childhood! I am a big kid at heart. I loved my childhood and part of me still clings to it with all its might. I’ve even kept a number of my favourite toys – GI Joes, MASK vehicles and Star Wars action figures. 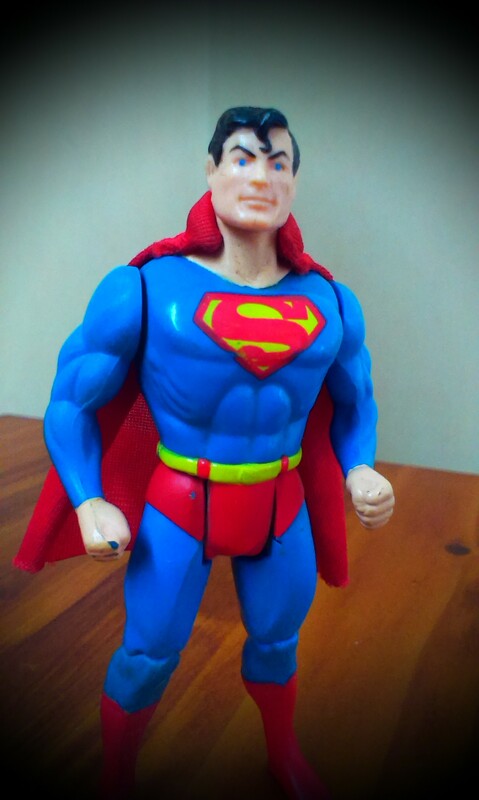 But for some reason, this “Superpowers” Superman figure has always had a special place in my heart. Whenever I look at him I feel happy. I also feel like having a “Bubble O’ Bill” ice cream – as my folks bought me one just after the action figure (It must have been a very good day). This, of course may mean very little to you, but it means everything to me. As it’s not really the action figure that has imprinted itself upon my memory, but rather the stage in my life that it was bought. I was a child of the 80’s and still think it must surely have been the best decade to have been a kid – in terms of toys, movies, TV and just the general vibe of the time. It would have been 1985 when I got Superman (the toy and Ice cream were released around that same time). I would have been 8 years old and at Tamatea Primary School learning the educational and social fundamentals of life and discovering the joys of cricket (“Kiwi Cricket” was released around then too). Toys played an important part in my life, though. I’m an only child, so for a lot of the time I had to keep myself entertained. It was a bit of a lonely existence, but it helped develop a fantastically creative imagination. I played out TV shows, movies, epic war battles and intimate family moments with my toys. They weren’t just toys, they were my friends too. All these childhood memories have been coming back to me recently with the imminent arrival of our baby. I guess I was feeling scared, as I felt that once we had a child ourselves, we had to stop being child-like. After all, being a parent was the most grown-up thing you could be as a kid, wasn’t it? I wasn’t ready to let go of that part of my life just yet. A few days after our baby was born, my wife and I managed to get some time to sit down and watch Toy Story 3. The opening titles are home movies of Andy (Woody and Buzz Lightyear’s owner) growing up and playing with his beloved toys over the years; right up until he is about to head off to college – that big “adult” step. Watching the opening credits I bawled my eyes out, but with happy tears. As I realised I was not seeing the end of my childhood, but the beginning of my daughter’s. We had years and years of happy times like I had experienced ahead of us. While memory’s irresistible pull will always keep me anchored to my past, there is a long, bright future ahead of us – and a second childhood to look forward to. 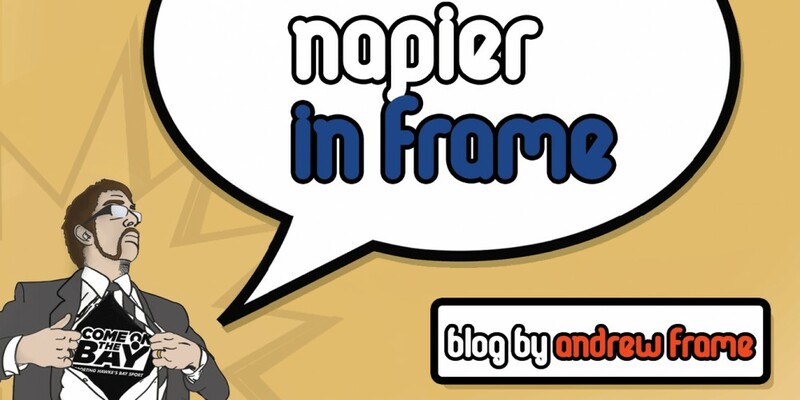 This entry was posted in Hawke's Bay, Opinion, Writing and tagged Hawke's Bay, Napier, Opinion, Writing, Youth by Andrew Frame. Bookmark the permalink.